While Commissionly is one of the few CRM systems that offer native commission software, we pay careful attention to alternative modes of motivating and compensating sales staff that personify the competitive environment in the UK, Europe and the United States, especially with some sectors reporting talent shortages. As Accenture summarily puts it “When it comes to motivating people toward great performance, it’s not just about the paycheck.” Many sales managers have known or suspected this for years, especially in downturned economies when the selling cycle gets longer. Some companies may uncomfortably acknowledge that the number of calls necessary to close a deal has also jumped. For instance, it is not uncommon to require six or more calls to close a deal in some sectors. And conversion rates—moving from the initial call to the presentation stage, and then converting proposals to sales—are trending down for some industries, while in others the uptick in the U.S. economy may be moving them in the opposite direction. Regardless, there will come a point in every small business lifecycle where they will experience some of the pain points above, which has a dramatic affect upon sales force motivation and performance. “That leads to a situation where you have to know more and sell harder, but where you may be less effective in your overall success rates,” said Accenture. Traditionally higher commission and compensation rates may sound like the most sensible way to keep your sales force stimulated, focused and closing deals. However, recent research indicates that this may not be the case with your sales force quenching for support in basic areas including sales enablement and tools, reducing quote cycle times, getting better documentation, and developing a product that is differentiated and easier to sell. 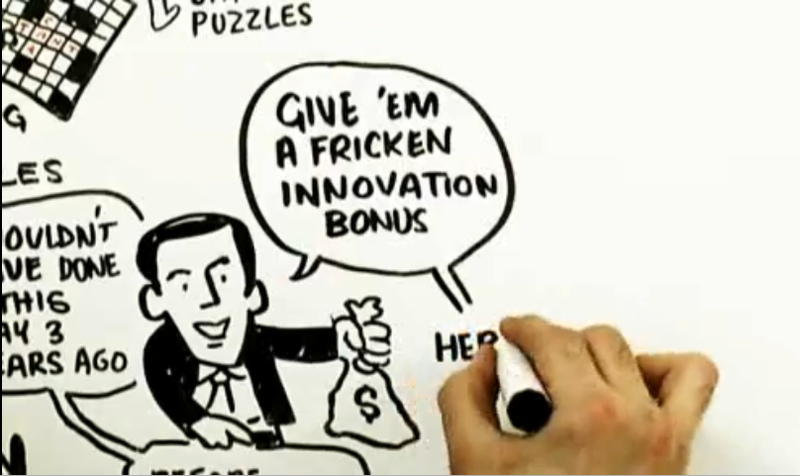 Modern authors like Daniel Pink, have also found compelling case studies in the software development industry which support the arguments above noting that one CEO decided to completely eliminate sales commissions after experiencing a protracted increase in commission complexity resulting from salespeople gaming the system and management constantly attempting to plug the holes. For instance, sales people would take advantage of early commission schemes by pushing sales into the time period most advantageous for them, by underselling one month to show a bigger gain the following month. Soon the compensation software consumed large amounts of internal resources as management attempted to fight back, ultimately removing their focus from product and service development. The CEO decided to remove commissions and instead pay his sales force a healthy salary, which gradually resulted in increasing sales. Of course, this new scheme did have some casualties, with two salespeople promptly leaving. However most stayed and are thriving – including Tom and James, referenced above. “Rather than relying on carrots [sell more and you can buy the new car] and sticks [don’t sell enough and you won’t be able to feed your kids], we are compelled to make our salespeople’s work more interesting, to set better goals and encourage teamwork,” said the CEO. The result was colloboration and commitment increased and they became agents for the customer rather than a salesperson. While this strategy may not work in all industries it is worth acknowledging the drawbacks with the age-old use of commission structures. According to Accenture, financial compensation—though not, strictly speaking, a physiological need—is analogous to the lowest tier of needs in Maslow’s hierarchy. It is basic and important, but it touches upon only one dimension of motivation, and a comparatively low-level one at that.